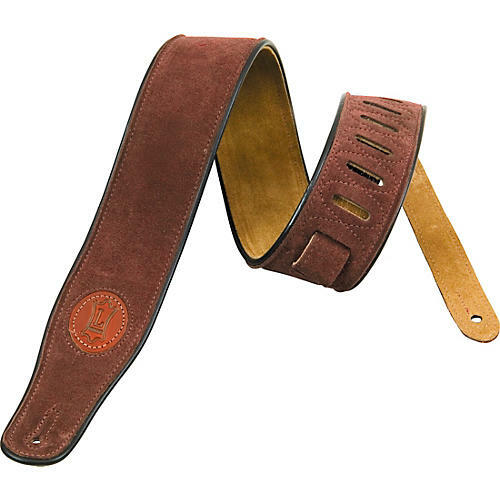 2-1/2" Signature Series suede guitar strap with black decorative piping, the Levy's logo,and contrast stitching. Adjustable from 44" to 53". Adjustable from 44" to 53"